When I had just started studying physics at university level, I found reading scientists’ biographies motivational, even though I might not have understood any of the science to a good enough extent. James Clerk Maxwell was for me one of those scientists, whose name being mentioned in a lecture made me want to turn invisible, because it almost always meant having to deal with Maxwell’s equations. 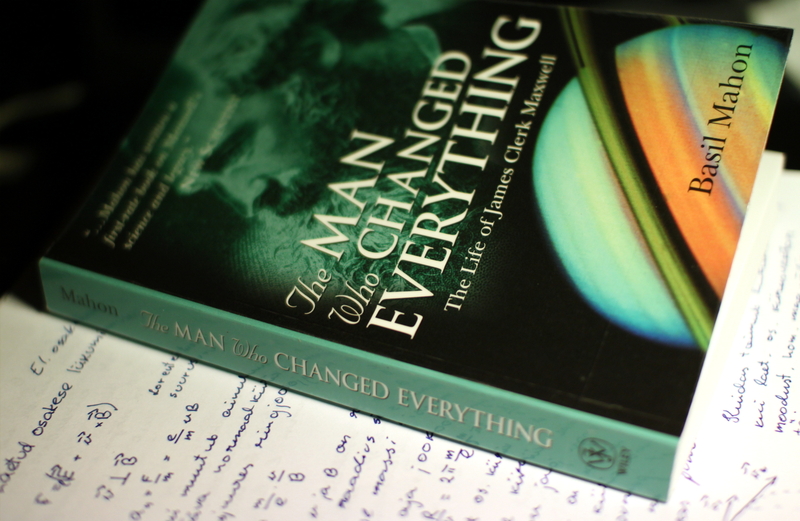 I wish I had read “The Man Who Changed Everything” before I acquired a habit of trying to avoid any topics that dealt with electromagnetism. Mahon’s writing is amazing. And the book is truly great. I’d highly recommend reading this book to any physics student or science buff, but also to someone who might not be that well informed of physics or mathematics – you’ll hardly need it when reading. This entry was posted in biography, history of science, Non-fiction and tagged Basil Mahon, Electromagnetism, Physicist, Physics, The Man Who Changed Everything. Bookmark the permalink.